Surface Solutions’ expert flooring specialists understand Chicagoland’s business environment, successfully completing dozens of industrial flooring projects throughout the area. In addition to recommending and installing flooring solutions for a diverse group of businesses located in Chicago and the surrounding area -including processing plants, manufacturing and pharmaceutical facilities throughout the estimated 10,856 square miles of metropolis, Surface Solutions has also garnered excellent references from many of Chi-town’s food and beverage companies and breweries as a specialist in high performance flooring for the industry. Because Chicago is located just three hours from our headquarters in Indianapolis, we can provide local food and beverage companies as well as other businesses with a competitive advantage when it comes to estimating costs, conducting tests, surface preparation and completing flooring installations. The food and beverage industry in Chicagoland is considered one of the most robust in the nation, recognized as the largest food manufacturing cluster in the U.S. offering local food and beverage companies a host of industry-specific resources that contribute greatly to the overall health and wellbeing of its economy. In addition, the state of Illinois has what is considered by many to be the most productive food sector of any state in the nation, contributing nearly $100,000 over the national average in terms of output, including the top ten food producing states. This business environment provides the kind of skilled labor, technology, industry knowledge and resources that influence the quality of productivity and efficiency of operation of Chicago-area food and beverage companies, especially the predominant smaller businesses that need these types of resources to remain competitive and profitable in a constantly changing economy. That’s quite a lot of processing facilities, industry plants and breweries that demand FDA- and USDA-approved flooring systems, which is one of Surface Solutions’ specialties. For almost 200 years the Chicago metropolitan area has been a center for the food and beverage sector, contributing to the evolution of processing techniques that convert raw farm harvests into the food products available in groceries nationwide, including beef, pork, wheat, cereals, baked goods and candy. Chicago is still home to the CME Group (Chicago Mercantile Exchange), which began as an agricultural futures market and is now the largest futures exchange in the world. 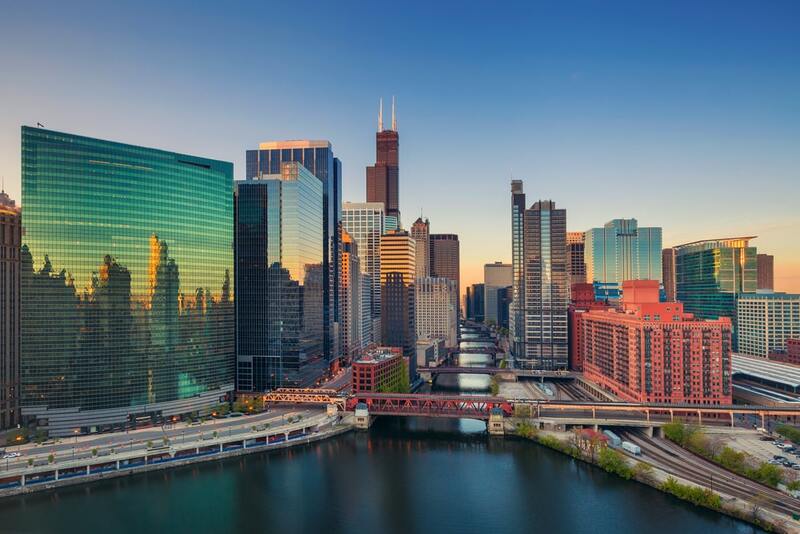 Today, companies such as Kraft, Wrigley, Sara Lee and Tootsie Roll Industries among others all maintain operations in Chicagoland and the city is home to the corporate headquarters of 57 Fortune 1000 companies like Boeing and McDonald’s.